I went shopping in York – and why not? I had a couple of things to seek out and, it being a lovely spring day, I decided to take the camera to see what I could see. Next month’s theme at the camera club is “movement” and that was in the back of my mind. York is endlessly busy, or so it seems. Full of movement. There are tourists and shoppers, there are workers on breaks, there are students and buskers. It’s a city permanently on the move, or so it seems. So here are a few images. The River Ouse moves along between the banks it had overflowed just a day before. Traffic moves – or doesn’t when the road is up. 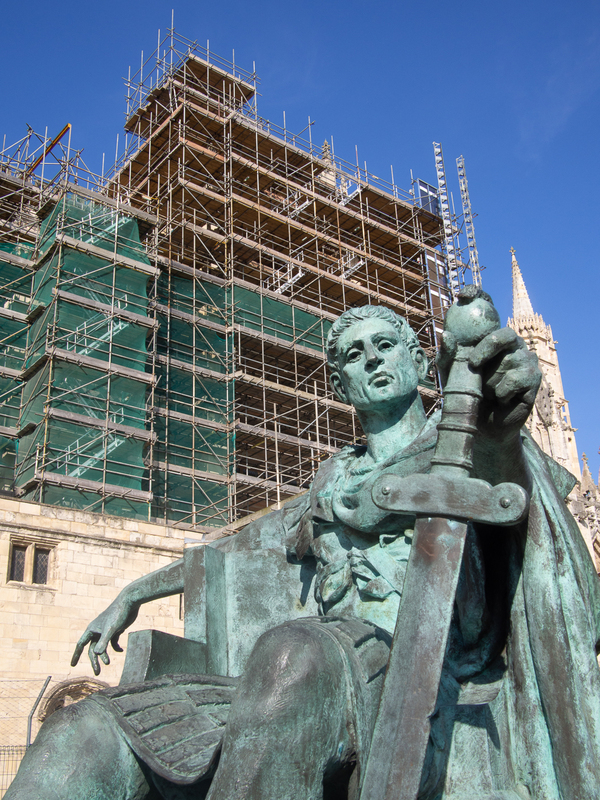 People are constantly on the move, and outside the huge unmoving bulk of the Minster, Constantine the Great sits frozen in bronze immobility in front of a scaffold of vertical movement, which seems itself to be empty and still. Foolish and fanciful – but I did buy some new trousers!